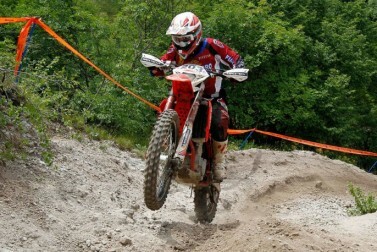 Back in 2010, after a long pause lasted three years, with the promise not to give more off-road enthusiasts, will recur on time, at the Pass of the Horse, the forerunner of all the races of extreme enduro organized by the Moto Club Lumezzane . Unchanged the original formula that will guarantee the usual distillate spectacle that made famous the Xtreme Lumezzane, with the grand finale on “Det of Diaol” (Devil’s Tooth), where the specialists come into play and the men of the extreme enduro “company’s push “people of the Moto Club and fans of the pilots that help those who are unable to complete the climb. But the “Devil’s Tooth” is not the only obstacle to be overcome, the whole track, called “Dante” by the organizers themselves, in fact, puts a strain on even the most experienced pilots.